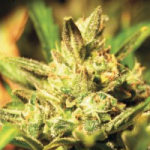 Green House Seeds offers 8 incredible Autoflowering seeds incorporating strong Marijuana genetics with autoflowering genes to produce high yielding, high quality automatic Cannabis. Fast finishing Auto with good yields when grown in a Sea-Of-Green. Chill out Marijuana strain, relaxing and calming. Helpful with pain control and appetite stimulation. Vigorous automatic seeds with good production level. Long lasting stoned effect, with a fruity sweet and sour flavor. Fast hitter with a very relaxing body-stoned effect. Sweet Indica smell, with a flowery bouquet and a slightly spicy background. Strong on the body, strong on the mind, Sativa strength that just lasts and lasts. Productive, potent and incredibly resilient. Find All Of The Green House Cannabis Seeds Below. 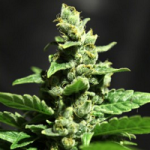 Buy Green House Seeds Online – Free Auto Seeds With Every Order – USA Worldwide Shipping.